Café Silver; Adventures and Misadventures of a Celebrity: It was 2007, and the Invasor Mania was at its peak. 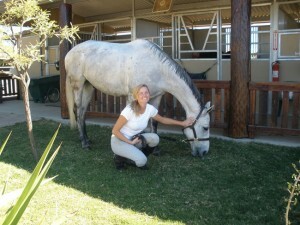 Plenty of Uruguayan horses were being exported around the world, mostly without success, but there was a good-looking gray horse with potential to compete with the best horses overseas: Café Silver. The horse, a son of Cafétin (Arg) and out of Potri Silver (Uru) by Potridoon (Arg), was acquired by Antonio Isidori in the Haras Gavroche sales. “My wife Mery has a strong attraction to the grays, so when the horse appeared in the sales ring, she asked me to bear down to buy him. 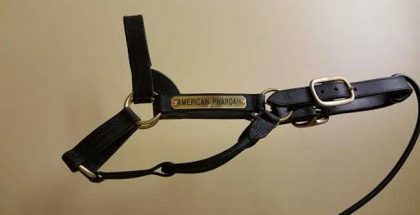 The final price was $8,400, but since I had taken a mare to the Haras Gavroche, I convinced the owner to exchange the horses, and I didn’t spend a dollar” Antonio Isidori said. In July, Café Silver was entered in the Clasico Guzman Vargas over six furlongs, winning with authority by 5-½ lengths in 1:09 and change. The horse felt the effort, but his connections decided to try the Triple Crown even though he was not in the best shape. Forced to run while in subpar condition, the horse managed to finish second in the first leg of the Triple Crown, the Polla de Potrillos over a mile, behind Rasputin, a horse who incredibly never won again. 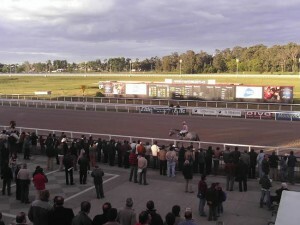 In the second leg, the Gran Premio Jockey Club over 1-¼ miles, the horse improved but again finished second by three-quarters of a length to Rock Ascot, a nice horse that won the Gran Premio Jose Pedro Ramirez (GI) later in 2008, the most important race in Uruguayan racing. Finally, justice was served in the third leg when Café Silver returned to his true racing condition and handily won the Gran Premio Nacional (GI) over 12-1/2 furlongs, beating Rock Ascot and Relento, a horse who became the champion of Maronas years later. With great expectations, Café Silver was bound for Dubai, looking for the best races in route distance, but the horse suddenly disappeared from the scene and was not named for a while. A reason soon emerged: “When he was in Miami waiting to ship to Dubai, he suffered a sesamoid fracture that sidelined him,” Isidori stated. Two years later, when everybody thought Café Silver was retired, he incredibly reappeared in a $6,250 claiming event at Turf Paradise over six furlongs being ridden by Jake Barton, trained by Mike Chambers, and owned by Three Sisters Thoroughbreds and John Xitco. Running as a first-time gelding, a totally different Café Silver was no threat in the race and finished last. 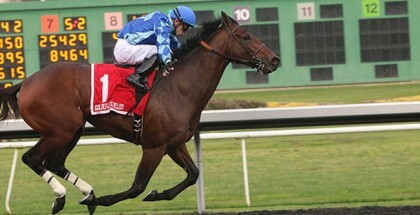 In his second American start, he dropped in class to a $3,000 claiming race over 5-½ furlongs, improving enough to finish fifth while being claimed by James G. Rhodes. Café Silver, now with new connections, entered another $3,000 claiming race over five furlongs. 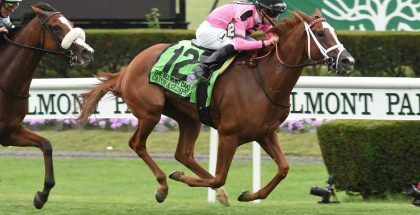 This time he fulfilled the old quote of “Third time’s the charm,” winning gate-to-wire under jockey Miguel Hernandez for trainer Dennis Sowers. After that victory, the horse moved to Yavapai Downs, a minor racetrack located in Prescott Valley, Arizona, where he won some races and always hit the board at the bottom level in $2,500 claiming races. In his first show, Café Silver was very brave and did not mind anything, jumping everything as if he had done it all his life. He finished in a very creditable second-place, an impressive finish for a first time starter in jumping shows. One day, Café Silver’s owner went to a bar that had OTB (Off Track Betting). There he met Kelly Hayes, the girl in charge of the bar, and told her about the horse. 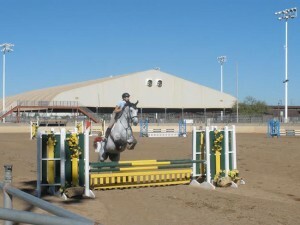 “I grew up with horses and ride jumpers, but I know nothing about horse racing. In fact, at the time when I first heard of this horse, I was tending bar, and his owner said, ‘Bet on my horse; he’s sure to win.’ So I did it and found it to be true. As the year went on, every time he raced, I could not help but stop and watch him.” Kelly said. Later, due to personal reasons, Café Silver’s owner did have to sell him, and Kelly did not miss that opportunity. 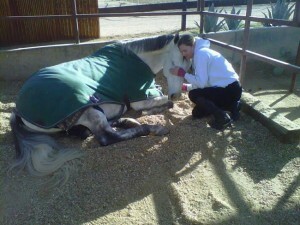 Because James was going to ship Café Silver to elsewhere, Kelly only had a few days to find the money, but with great effort and her parents’ support, she bought the horse for $3,000. “The first time I saw him in real life, he was in a very dirty, messy backyard of someone’s home. I threw a saddle on him, and away we went in the mud. He was just perfect,” Kelly expressed. She then took him to the stable where she kept her other horse, a little red Missouri Fox Trotter named Jazzy. Café Silver is not competing now, but he likes to train three or four days a week. Without his workouts, he tends to get into trouble. The gray is living a new life, and he loves the nearby river and lake; in the summer, he loves to swim to beat the Arizona heat. 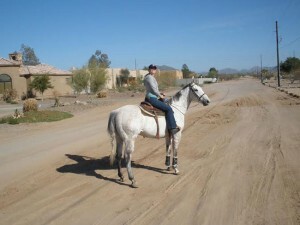 Besides jumping, he likes to trail ride with his little buddy Jazzy, and the two are very happy together. As a typical habit of his new life, Café Silver whinnies when his owners come to the barn with a red lunch box because he knows there is an apple or carrot inside. The gray loves children and lets them brush and curry him. Lady and The Track would like to thank Kelly Hayes, her mother Penny Swearengin, Antonio Isidori and @cabeza1979 who contributed to build this story in addition to all who tried to help. Video: Café Silver is now doing great physically. He has an easy rhythm, perfect for jumpers.